Get a birds-eye view of all timesheet activity that takes place in your company. 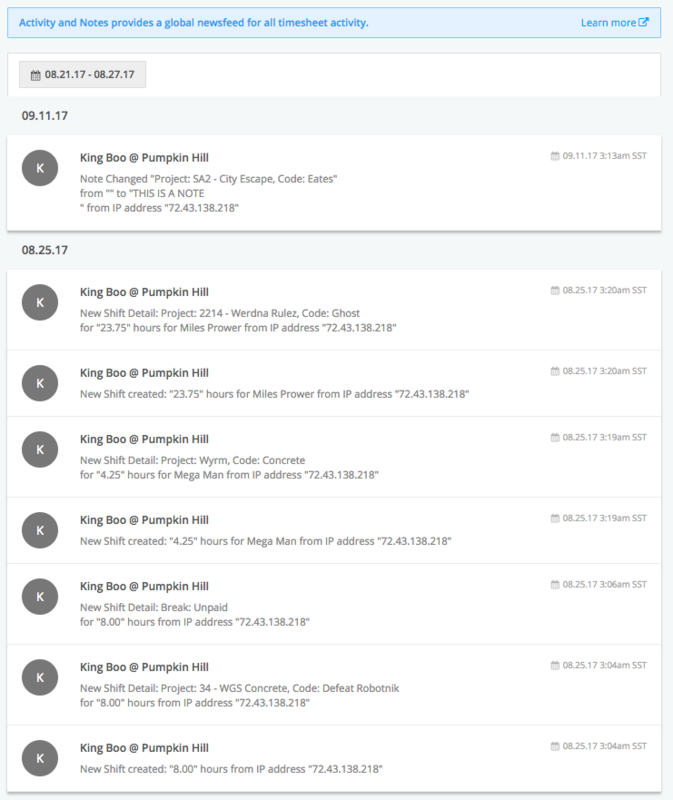 The Activity feed provides a global newsfeed for all Timesheet activity that occurs within your team. The activity can either by filtered by the current week or any previous weeks. You can reach the Activity feed by selecting the Timesheets tab on the main Buildingblok menu, then selecting the Activity tab at the top. 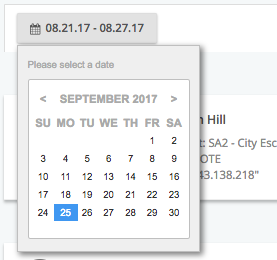 By Clicking the date range on the top left corner, you'll be able to select any previous week to view.